Home > Dental Health > How Safe Are Dental Sealants? Dental sealants are nothing new and are a relatively common and simple dental procedure used in both adults and children. Recent debate, however, has raised a number of questions around the safety of dental sealants. The result has been a confused public with little consensus on how to approach dental sealants. Thus far, there is some evidence to suggest that bisphenol A (BPA), a plastics ingredient in sealants, could have negative effects on health. To what degree, however, is a key question and overall, it is deemed a very small if not negligible risk for most people. The general conclusion in the dental community is that dental sealants are safe for most adults and provide proven benefits. How Might the Chemical Affect Health? Evidence is still quite limited but there is some suggestion that BPA could play a limited part in heart disease and cancer. While there is general agreement that sealants are important in preventing decay, some experts recommend that sealants be avoided during pregnancy until we know more about their role in the body. This should be assessed by a dentist on a case-by-case basis. At present, sealants are commonly used in children. In fact, in places such as the United States, for instance, anywhere from twenty to forty percent of children have sealants on their teeth. The benefits are well established of sealant use in children to prevent tooth decay. There are still some precautions that can be taken though if you are concerned about BPA exposure in your children. Children can gargle for a minute and spit just after receiving the sealant, which is thought to help rid many of the free chemicals. There is also some debate over which BPA compounds are the most worrisome. It is thought that bis-GMA resins are better than bis-DMA resins. The problem here is that not every manufacturer will provide a detailed list of the ingredients, which makes it challenging to know which sealant to use. 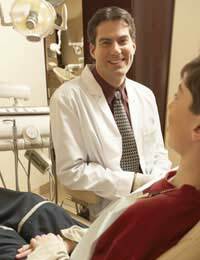 Dental sealants are not the only exposure people receive and this should be kept in mind before getting anxious about a potential risk. BPA-related compounds are used to make plastic containers more stiff as well as to line cans and smooth out paper receipts. Compared to dental sealants, the exposure is thought to be greater from these other sources. It is also important to keep in mind that the evidence we have around potential health problems from BPA is based on animal studies, which do not necessarily translate to humans. It is critical that the public remains realistic in terms of the risk, particularly with relation to all the other products they are exposed to each day that also contain these chemicals. For now, experts continue to support the use of dental sealants in most people. Those who wish to avoid them can discuss with their dentist any other options that may be available to help prevent decay.